Some of my very favorite games are the ones that give you the freedom to roam around a huge setting and do whatever you want. There is just something emotionally impacting about getting your first glimpse of vast landscape and knowing that you are at the beginning of a grand adventure. And most of the time that landscape is one that draws you in with its beauty, but when you escape Vault 101 for the first time, you realize that Bethesda’s Fallout 3 is not one of those games. It's setting (Washington D.C.--several hundred years after a nuclear war) is completely desolate. You realize quickly that you will, in fact, be spending most of your time either traversing a post-apocalyptic countryside or crawling through ruined buildings. Nearly everything (and everyone) you encounter looks as though it’s been beat to crap. But, all of this plays to the theme of the game, which is all about finding your place in the wasteland. But before all of that, you’ll play through one of the cleverest intros to a game that I’ve ever experienced. 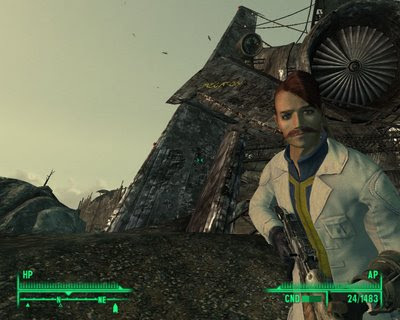 At first, as in most Western RPGs, you’ll spend a few moments giving your character a name and adjusting his appearance (I gave my guy a cool combed-over mohawk and a creepy “gunslinger” mustache). As soon as you confirmed this, the screen goes white, and you are born into the world of Fallout 3. Without giving too much away, the next hour or so shows you the basics of the game while setting up the main quest, at the end of which you’ll find yourself leaving the vault. And it is usually at this point in the game that you would expect the pace of the game to slow down a bit, but not in Fallout 3. Just as soon as you can climb down from the Vault 101 entrance, you find yourself right on the front doorstep of a little town called Megaton, the home of your first big decision (which is waaay too awesome to spoil) and several interesting characters. Speaking of characters, I found the inhabitants of the Capital Wastelands to be surprisingly believable in spite of the relatively limited number of voices they posses. They all seem to have unique personalities and goals. Not only that, but they look much better than the NPCs from Elder Scrolls IV: Oblivion (Bethesda’s previous open-world RPG), in which everyone looked slightly deformed. Half of the people you meet in Fallout 3 will want you to do something for them, and your conversations with these characters will lead directly into quests. Some of these quests are simple (and only slightly annoying) fetch quests, during which you might have to travel to specific places to find specific items to bring back to a specific person. However, most of the quests are fairly interesting, allowing for different solutions to suit various playing styles. While most Western RPGs offer the player a choice of actions, Fallout 3 actually delivers consequence to match your behavior with it's Karma system. Acting out of kindness accumulates good Karma, thus resulting in you being rewarded with perks that benefit benevolence, whereas rudeness results in more unsavory rewards. Of course, the whole thing would fall apart if Fallout 3 had a horrid battle system. Bethesda took on an ambitious task when they designed Fallout 3 to play like a shooter/RPG hybrid. The entire game takes place in first-person view (unless you zoom out to third-person mode, which would seem to play awkwardly), but when you encounter enemies you can enter Vault-Tec Assisted Targeting System (or VATS), which is essentially a modern adaptation of the battle system from the old Fallout games. 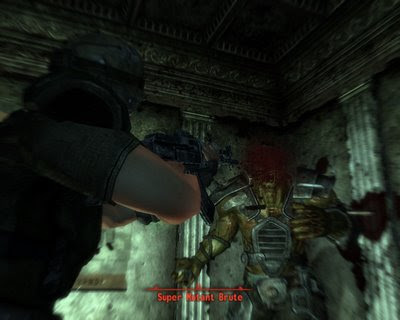 When you enter VATS mode, the game pauses and you can choose which parts of an enemy’s body to fire your weapon at, thus consuming your action points. After making your choices, your attacks play out in slow-motion, and watching a well placed shot explode a super mutant’s head is sickly rewarding. However, you only have a limited amount of action points to use, and once you run out you can only fire in real time. The shooting mechanic isn’t quite as well executed: the action plays out like a FPS, but your accuracy and damage is calculated like an RPG. This translates to the occasional and unexplainable missed shot. Eventually, you'll run enough errands and kill enough baddies to level up. In true Western RPG fashion, you'll be given skill points to level up your abilities, and on top of that you get to choose one of several perks that adds to your skills or gives you some other unique advantage, such as a bonus against robots. Don't worry Fallout fans, you're beloved "Bloody Mess" perk is present. 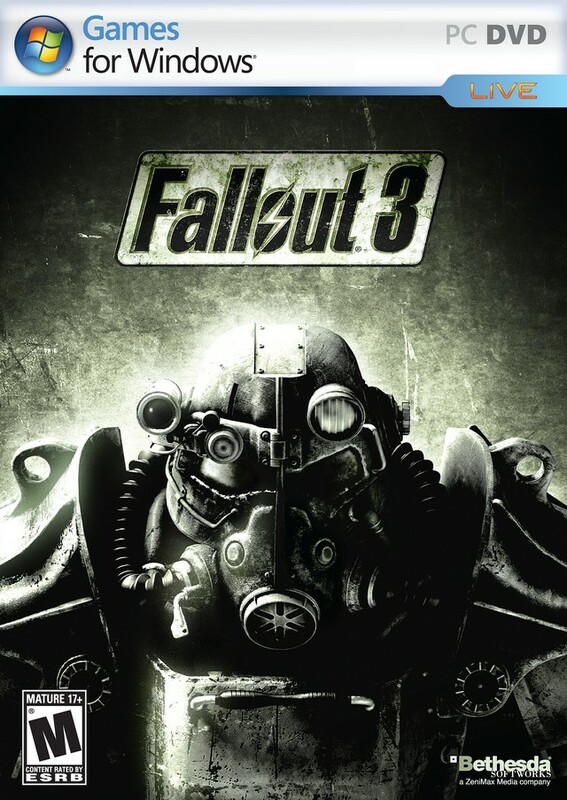 Most RPGs reach a point toward the middle of the game where the story begins to give out under the weight of the games mechanics, but (sloppy shooting aside) all of the mechanics in Fallout 3, from the VATS system to the crazy perks to the Karma continium, make sense in the context of this bizzare post-nuclear world. These elements along with a story that is much more focused than Bethesda's previous releases make for a really polished experience. In the end, I spent about 45 hours wandering through the Capital Wastelands, and enjoyed nearly every moment of it... enough so that I will most certainly play the game again. 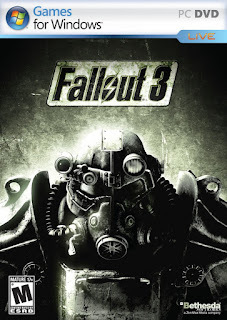 Fallout 3 is a fantastic game that I would highly recommend.